DEFINITION: .Net Framework is a platform for set of Libraries, Utilities, Compilers which we can used for Developing, Building and Deploying various .Net Application. Q- EXPLAINING THE COMPLETE ARCHITECTURE OF .NET FRAMEWORK? The process starts with the compilation of the code written for example in C# by their language compilers (CSC which is C# Compiler) into Intermediate Language (IL). The IL code and the resources are stored on a disk in an executable file called an assembly, with an extension of .exe and .dll. We talk about .exe and .dll in our later blogs. 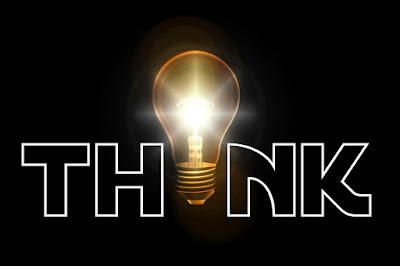 Just for now make a rough idea that .exe and .dll are extensions in which IL information is stored. It is the file that provides information about the assembly name, version number, culture information, public key token and process architecture. Now, have a look according to Figure 1 we are completed with the first two steps. Now, what happen in the next step is when our C# code is executed successfully, the assembly is loaded into the CLR. CLR serve as an execution engine for the IL code whose responsibility is to check the functioning of the code on the behalf of CLS and CTS (check the details of CLS and CTS at the below subheading points of their own). Now, when the requirements are met CLR performs the Just In Time (JIT) compilation to convert the IL code to machine code which is understandable by the Operating System of the client machine. Q-HOW DOES THE COMPILATION WORK STARTS IN .NET FRAMEWORK? Source code is compiled in Intermediate Language (IL) by their own language compiler. See the Figure (2) and proceed step by step. Suppose a Developer choose to write a code in any language let's say we are taking two language code C# and VB. Now the code is compiled by its language compiler into Intermediate Language Code (IL). It means every .Net language has its own language compiler so that it may compiled into IL. both returning the same output but the syntax is different as you can see in Figure 3. Means Data-types are different their declaration is different there casting styles is different. We are using a different syntax for Vb.Net Code and completely different syntax for C# Code. But, now what happen is VSC will compile the Vb.Net code into IL and similarly the CSC will compile the C# code into IL. Now, when you look into the IL Code, it will be same for both the source code. That means there is no two different source code. We have only one single source code, which is IL. This is How the compilation is done from source code to Intermediate Language (IL) code. Next we read about IL. Q- WHY IL IS REQUIRED? Suppose we have to develop an Internet Video Downloader Application for a particular client. While developing and building we should know about the specification for the client machine. o What type of computer he has? o What type of Operating System (O.S.) use by them? o What type of RAM he has? o What type of process he has? Because machine code completely dependent on the specification of the computer. 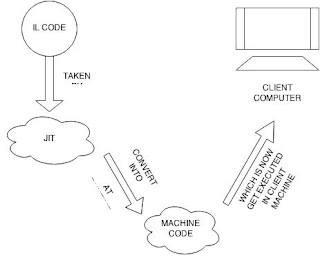 A normal machine doesn't know about IL code or CSC code or VBC code it only and only understands machine language. And the developer is totally unaware of the client machine as both are at different locations. So it is not possible for any developer to tackle this problem. So, Microsoft introduces the concept CLR that is the execution engine for .NET application and it serve as the interface between Application and O.S. So, that's why the language compiler convert the source code into IL. This IL is taken by JIT (JUST IN TIME COMPILER). Wait... and see the Figure 4 to proceed and understood. It’s the JIT who took the responsibility who convert the IL code into the machine code. Now this JIT at run-time convert the IL code into machine code which actually getting executed according to the client machine configuration. IL is also known as MSIL and CIL i.e., Microsoft Intermediate Language and Common Intermediate Language. CLR: CLR is the run-time environment that execute MSIL code. CLR takes the compiled code IL and pass it to the JIT compiler. Now, JIT convert it to machine code. And this machine code is understandable by the Operating system. CLR consist of CTS and CLS. CTS: CTS is Common Type Specification. Now suppose we have to consume some VB.Net code into C# code. So to make it possible, we need CTS. So the question is can we change the data type from VB.Net to C#? The answer is Yes, because both the data type is derived from CTS. For ex- Integer in VB.Net and “int” in C# both are derived from System.Int32. So this is what we call Common Type System/Specification. CTS contain CLS. CLS: CLS is Common Language Specification. 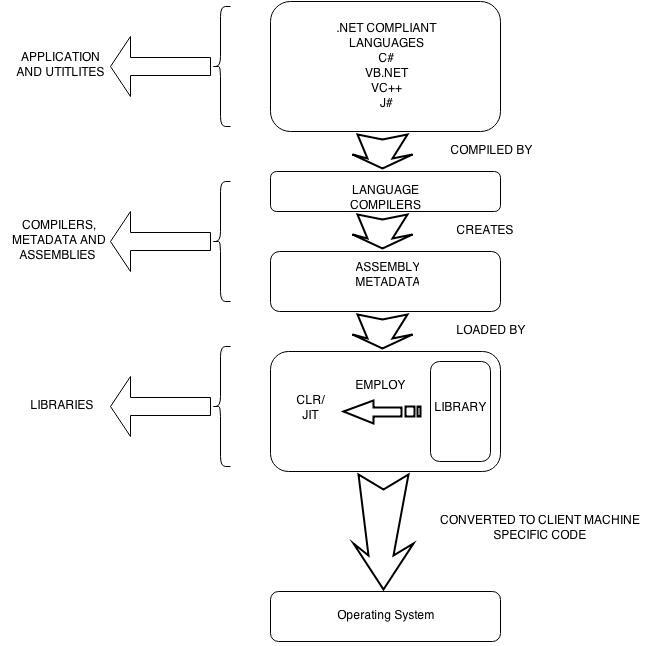 CLS define set of rules which every .Net compliant languages must follow. For ex- there are some rules which both the languages C# and VB.Net must follow so as to easy communicate with each other. Like- put proper casing for variable declaration. As a and A are considered as same variable in VB.Net but it is counted as two different variable in C#. So while writing C# code we should care that, if we declare two variables with same name but with different casing. 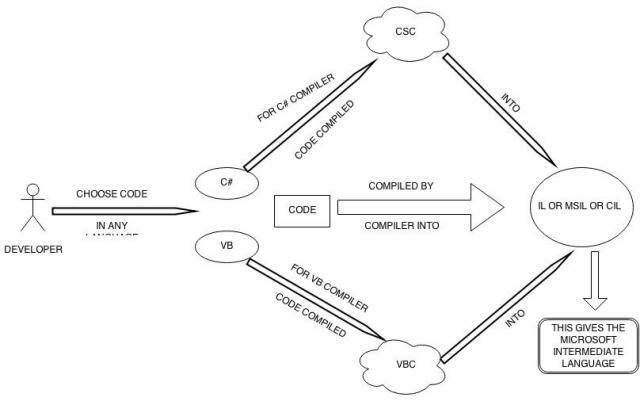 Then, it is not possible for VB.Net application to consume that library. BCL (Base Class Library): Now, if you want to communicate with the database. It is not required to write each and every line like how the compilation works in depth. If you want to read or write any file stored in the local disk, you are not required to write the complete C level coding. There are some classes available like files. Just create object for these classes and use it. So, these are some reusable libraries available in BCL in .Net Framework itself. We can use them and proceed with our work. We are not required to waste our time which is already been done. FCL (Framework Class Library): The FCL is a collection of over 700 classes and data types that enables .Net application to read and write files, access databases, process XML, display a graphic a graphic user interface, draw graphics, use web services, etc. The FCL wraps much of the massive, complex Win32 API into simpler .Net object that can be used by c# and other .Net Programming languages. Q- WHAT ARE .NET TOOLS? .NET TOOLS: Visual Studio .Net is Microsoft own Tool. It provides an Integrated Development Environment (IDE). It helps Developers to built Windows Application, Web Application and Web Services running on any platform that supports .Net.